All orders submitted from this web site are deemed to constitute acceptance of our terms and conditions. A contract between the customer and Le Papillon Vert will only be completed upon authorised payment receipt from our Payment Acceptance company. At the time of ordering the Customer must provide a correct daytime telephone number and e-mail address. Failure to provide this may result in a delay in shipping or delivering your order. Le Papillon Vert cannot be held responsible for incorrect information supplied by our customers. Le Papillon Vert offer to supply the product selected by the customer. Should more than one basket/item be ordered for the same delivery address, efforts will be made to send them together in the same bag should the packaging allow. Only one charge for postage and packaging will be made. We will confirm this when you place your order. Once a delivery has been made to the address specified on the original order, Le Papillon Vert will no longer be responsible and refunds will not be given if the basket does not pass on to the named recipient. We have a Royal Mail collection Monday-Friday in the afternoon. We try (but do not guarantee) to dispatch orders placed prior to 12 o’clock Mid-day on the same day. After this, the order will be dispatched on the next working day. Orders can be tracked on Royal Mail’s website. Royal Mail collect from our warehouse Monday-Friday in the afternoon. We try (but do not guarantee) to dispatch orders placed prior to 12 o’clock mid-day on the same day. After this, the order will be dispatched on the next working day. Orders can be tracked on Royal Mail’s website, but may also be tracked on local mail sites once in the destination country e.g. USPS for USA customers. If you want us to ship to a country that is not available on checkout, please email us with your requirements and we will provide you with a shipping quotation. Should your order not arrive within the expected delivery time (allowing for exceptional circumstances such as storms or postal strikes), please check the Tracking number provided to you on your order confirmation. It is likely that the delivery company has tried to deliver but not left a note, so please ask your postman or contact your local delivery office in the first instance. If you do not get a satisfactory outcome, please contact us and we will try to help. If for any reason you are not happy with an item, or just wish to return it, please let us know within 2 working days of receipt. We will try to sort any issue out for you, and offer an exchange or refund. All returns should be sent back to us within 5 working days of receipt, in the original packaging, complete with inflated bag or other ‘stuffing’ and in a re-saleable condition. A re-stocking fee of 10% plus original postage cost may be deducted from your refund should our tracked delivery service be refused or an order is not collected from a delivery office after attempted delivery. Our baskets are packed with care so that they do not get squashed in the post. We would appreciate the use of all original packing, especially the inflatable bag to be used when returning your basket. If the bag is no longer inflated, please stuff the basket with lightweight packing such as bubble wrap, newspaper or other clean stuffing material. Should the basket be returned squashed it will be deemed unsalable. If it is received in an unsalable condition, we reserve the right to not refund the item. In this case, we will offer to return the item to you, or dispose of it. PLEASE NOTE: YOUR NAME, ADDRESS AND ORDER NUMBER MUST BE INCLUDED in all correspondence/return packaging and should be marked clearly on the original order sheet or written on your own paper. Our warehouse will not be able to identify any packages which do not comply with this request. Any unidentifiable packages will be kept for 7 days, but will be returned to stock or destroyed after this time. We cannot issue a refund if we do not know who has sent it! Once we have received the returned goods into the warehouse, we will inspect them, and check that the correct goods have been returned. Refunds are wholly conditional upon these terms being met. We will complete the credit process within 10 working days from receipt (normally sooner but this covers busy periods). NB: Any further delay in refund payments may be down to your bank. We provide a Tracked returns label at a cost of £4.00 which will be deducted from your final refund. This is normally a lot cheaper than sending by most postal services and is charged at our cost from Royal Mail. The link to print this label is below. Please note that you are agreeing to £4.00 deduction/charge when you use this service. (Please do not use our PO Box address for returns – this is a correspondence address only). Our packaging is designed to be low-weight and can be recycled after use. The inflatable bag inside the basket is recyclable, and the grey outer mailing bag is biodegradable. We are constantly looking into new packaging options which are environmentally friendly AND deliver the products to you in the condition you expect. Watch this space! All orders submitted from this web site are deemed to constitute acceptance of our terms and conditions. A contract between the customer and Le Papillon Vert will only be completed upon authorised payment receipt from our Payment Acceptance company, cleared bank transfer or confirmation from PayPal. 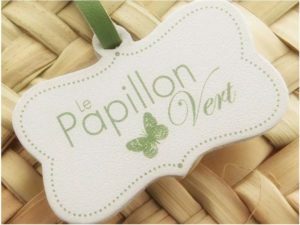 Le Papillon Vert offer to supply the product selected by the customer. We advise that we ship in boxes that can normally accommodate up to 20 baskets, therefore to optimise shipping costs, we advise ordering in multiples of 20. Only one charge for postage and packaging will be made for UK customers. However deliveries to countries outside of the UK are charged at cost, per box. Our website will confirm delivery cost when you place your order in the cart. 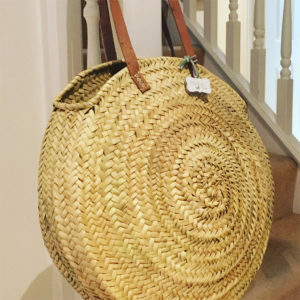 Once a delivery has been made to the address specified on the original order, Le Papillon Vert will no longer be responsible and refunds will not be given if the basket does not pass on to the named recipient. All deliveries are tracked and signed for with DPD or UPS partners. Please bear in mind this is a hand made product and unlike a machine made product, sizes will vary within any order. If you are re-selling as a bespoke product you will need to communicate the size differences to your customers as we cannot sort orders to specific sizes. See cart for details. As a rough guide, shipping costs start at £20 per box for Europe; £85 per box for USA.